Cerebral Palsy is damage to the brain caused during pregnancy, delivery or childhood. Cellino & Barnes is an experienced New York personal injury law firm. Our attorneys have obtained millions in settlements and verdicts for our medical malpractice clients, including cerebral palsy victims. Any damage to a developing brain (whether genetic or from an injury), may cause cerebral palsy. Failure to identify complications during pregnancy, which results in injury, is an example of medical malpractice. 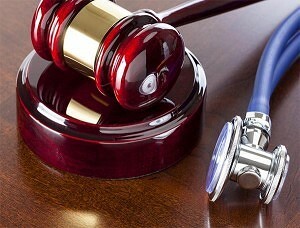 Another common cause of medical malpractice occurs during labor. Many doctors allow labor to last too long, which can result in danger to the baby because of lack of oxygen. This lack of oxygen can destroy brain tissue. Spastic Cerebral Palsy – causes the muscles to be very stiff and permanently narrowed. The two types of Spastic CP are hemiplegia (one side of the body is affected) and quadriplegia (all 4 limbs are affected). Some with Spastic CP may experience uncontrollable shaking. Athetoid or Dyskinetic Cerebral Palsy causes uncontrolled, slow, writhing movements, which can affect the hands, feet, arms, or legs. In addition, facial muscles or the tongue can also be affected, causing excess saliva and difficulty speaking. Ataxic Cerebral Palsy affects balance and coordination and is very rare. A person with Ataxic CP may walk unsteady or have a wide step. Quick or exact movements can be a problem. They may also suffer tremors with voluntary movements, such as reaching for a glass of water. Mixed Type Cerebral Palsy is a combination of the types of cerebral palsy detailed above. The most common is Spastic CP and Athetoid CP. However, other combinations are possible. If your child or a loved one has suffered a birth injury, call us now at (800) 888-8888 or contact us by clicking on New York Cerebral Palsy Attorney.